The Chinese astrology and the Chinese horoscope differ considerably from the concepts of Western astrology. The twelve Chinese zodiac signs are different from the Western signs and unlike the Western horoscope, the Chinese horoscope focuses mainly on the personality and the psychological aspects of a person with only very little regard to time-relevant predictions or analyses. 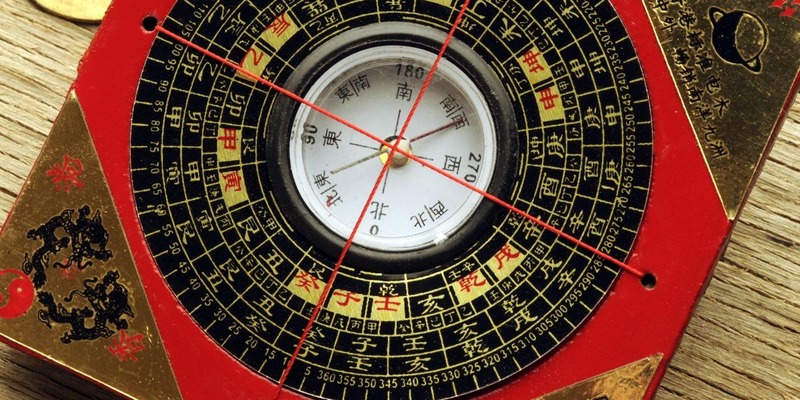 Chinese astrology looks back on more than 5,000 years of history. Its main elements beside the zodiac signs are the influence of the moon, the earth and the celestial objects on the personality and on the life of a human being, but from a more natural and philosophical point of view. So, it comes as no surprise that many people also in the Western hemisphere value the Chinese astrology more, as they find it easier to relate to their approach than to the comparably scientific Western system. As opposed to her younger sister from the West, Chinese astrology does not only evaluate the positions of the sun, the moon and other planets at the time of a person's birth, which is probably the fundamental difference between the two astrological concepts. In the Chinese horoscope, the key element of the basis for the calculations consists of a calendar which is provided with specific invariable interpretations. These are based on Chinese philosophy and its different but closely intertwined areas, among which are the teachings of the Five Elements and the five planets, the principles of Yin and Yang, the 10 Celestial Stems and the 12 Earthly Branches. The Chinese lunisolar calendar, which is essential to the astrological practice, not only considers the movements of the moon and the sun but also calculates the time after year, month, day and double hour. The Chinese philosophy and the astrology are inseparably related to one another. In Chinese philosophy it's all about the harmony among Heaven, Earth and Man as the three essential components of the Universe, which are responsible for the natural world order, the so-called Dao or Tao. Ideally this order and harmony is also reflected within mankind. According to the Chinese philosophy, leading a happy life means being in harmony with the cosmos and so the knowledge of the course and the cycles of the world is supposed to make us aware of tendencies that can affect our present and our future. The teachings of the Five Elements are crucial in Chinese astrology. Unlike in the Western concept of solid elements, the Chinese elements are seen as transformative energies in the sense of a constant evolution. They are categorized into five groups, which are Wood, Fire, Earth, Metal and Water. The transformation process – wood is transformed by fire, fire is transformed by earth, etc. – happens in five stages and is meant to represent the permanent evolution of heaven, earth and man. The principle of Yin and Yang, which are seen as two complementary forces, is also a key component of Chinese astrology. It is based on the notion that there is a flowing transition between these two energies. Yin is assigned to the female, passive, receiving and denying principle, which also includes the moon, the earth, night, darkness and even numbers. Yang stands for the male, active, dynamic and affirmative principle and comprises the sun, the sky, light, day and all odd numbers. In Chinese astrology, dividing the calendar into seasons wasn't sophisticated enough and so they proceeded to dividing the fixed stars into groups based on the exact observation of the movements of the moon. The result of these further divisions were twelve sections of equal magnitude, which were assigned to every month of the calendar year. Due to their agricultural references they were called “Earthly branches” and received the names of earthly animals: Dragon, Rabbit, Tiger, Goat, Horse, Dog, Rooster, Monkey, Ox, Rat and Pig.